Look smart and adorable with artificial leather! A new lineup for young women! Prevent forgetting your smart phone after going out or after lunchtime! Ever left your smart phone behind after going out or after lunchtime? 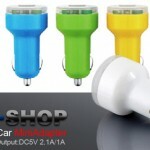 Stores cards, tickets and coins along with your smart phone. 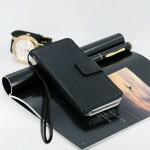 Not only fits the iPhone but also GALAXY and Xperia, and other types of smart phones! 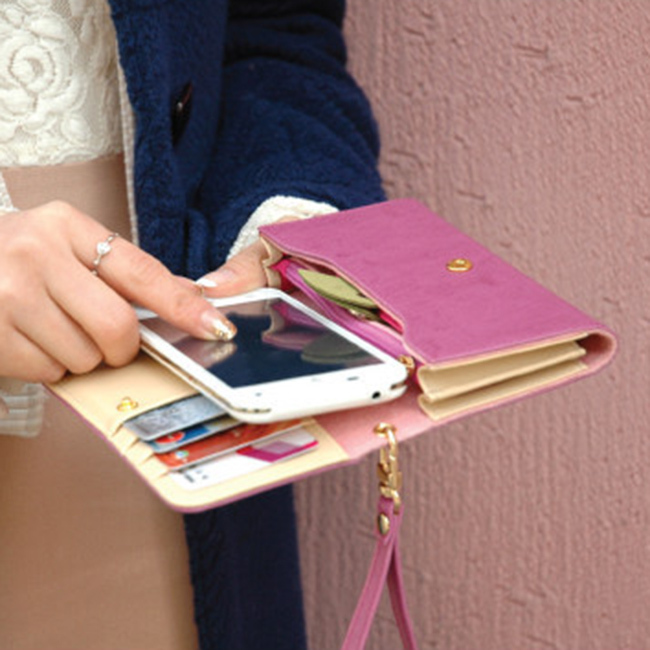 A smart wallet for for the young woman! There’s a pocket for you to store cards and tickets along with your smart phone, super convenient for going out for short whiles and lunchtimes. Put your passes and IC cards in to ride and shop conveniently. 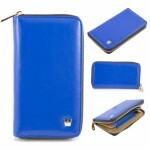 Not only fits the iPhone but also various smart phones such as the GALAXY, Xperia, etc. Don’t own a cute smart phone case yet? This is the one for you! ※Please check the product’s size specifications to determine whether or not is it suitable for your smart phone. [Point3] You can still listen to music while your phone is inside the case! There’s a space in the side for earphone jacks. You can pull out the cord while the phone is inside the case.